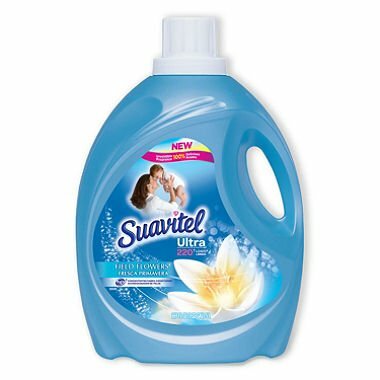 Suavitel Ultra Fabric Conditioner brings the crisp, clean scent of blossoming flowers to every load. The floral essence will give your clothes the special, fresh scent of the outdoors that will last for weeks. The concentrated formula deeply penetrates fabrics to provide an incredible softness that you and your family will love. If you have any questions about this product by Suavitel, contact us by completing and submitting the form below. If you are looking for a specif part number, please include it with your message.